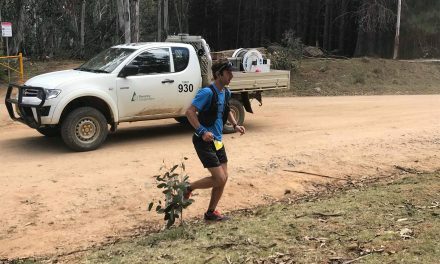 The Cradle Mountain Run one-day race in Tasmania took place on February 2 (Saturday), and we’d like to extend a big congratulations to the AURA members who raced in the 82km event including Damen Whish-Wilson (10:42), Katherine Macmillan (11:13), Fergus Edwards (12:45) and Andrew Hewat (13.22). 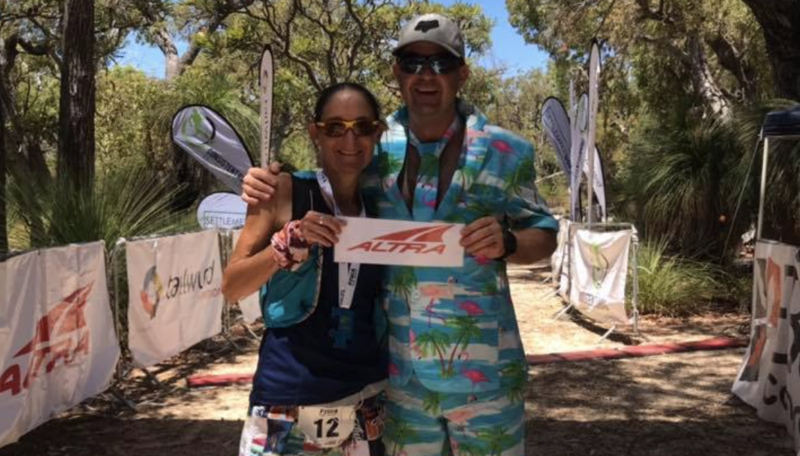 The Leaning Tuart Ultra, race three of four in the Forest Series WA, presented itself with a 50km event at Preston Beach among the tuart trees of Yalgorup National Park with a ‘beach’ theme for participants. 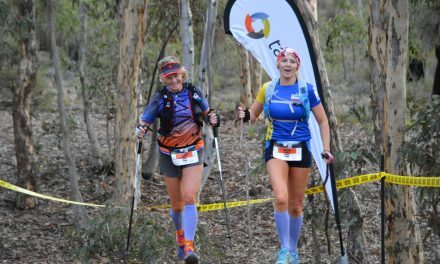 A looped 12.5km race, the 50km distance was dominated by AURA’s very own Beck Hefferon who took out 1st Female with a finish time of 5:17:24. Third Male deservingly went to Matt Byles, who made a cracking time of 4:37:47. Well done to all our members who donned their colourful boardies, skimpy bathers and flamingo floaties at the race, including Andrew Cohen (4:55:59), Harmony Waite (7:26:19) and Kelly-Lyn Fleming (7:31:14). 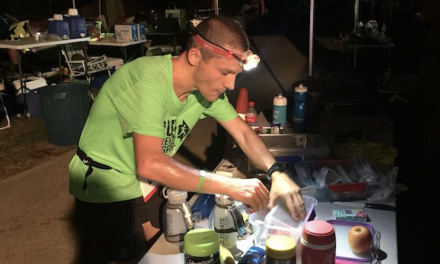 The next race on the AURA calendar is the inaugural Delirious W.E.S.T, Australia’s only point-to-point 200 miler and the newest ultra for runners to participate in, to be held from February 20. 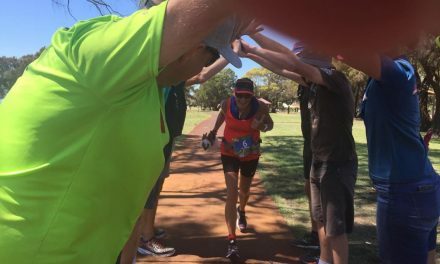 Pictured: Beck Hefferon with Leaning Tuart Ultra race director Shaun Kaesler. Photograph – Supplied/Facebook.